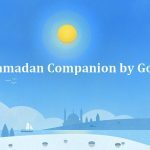 Google has launched a new service for the global Muslim community under its “With Google” campaign called “My Ramadan Companion“. The service, which is accessible worldwide through a website, gives personalized information depending on your location. The major features of My Ramadan Companion by Google includes sunrise and sunset timings, Ramadan videos, Ramadan Apps, Ramadan recipes, Ramadan TV Shows and locations of nearby Halal restaurants where Suhoor (Sheri) and Iftar facilities are available. Ramadan is observed as fasting month by Muslims around the globe. The month also gains the attention of many products and services with large Muslim userbases. Every year during this holy month, a number of major brands like McDonald’s, Pepsi, Coca-Cola etc launch Ramadan specific campaigns.